Arching across the gorge of the New River at 3,030 feet from rim to rim, the New River Gorge Bridge, built in 1978 was added to the National Register of Historic Places in 2013 (though most landmarks are not admitted to the list until they are at least 50 years old). 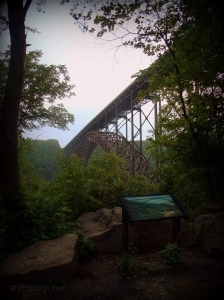 The landmark span, located just north of Fayetteville, West Virginia, in Fayette County, towers 876 feet (267 meters) above the New River. 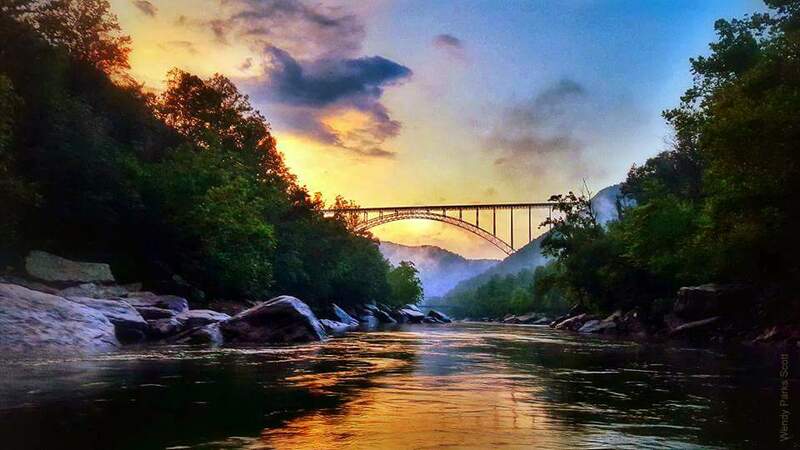 The bridge opened the New River Gorge Region of southern West Virginia to interstate commerce. Before the span opened, motorists were routed through narrow winding roads or through other areas of the state. Help build our guide to the New River Gorge Bridge. Would you be interested in helping us provide more information on the New River Gorge Bridge or other historic resources in West Virginia? Please let a member of our editorial staff know.